Class Summary: What kid doesn’t love magic? This course will amaze and educate students on the science of magic. 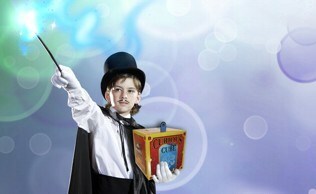 They will learn how magicians use science to entertain audiences. They will view a demonstration that reveals how magicians use the concept of optical illusions to make objects appear and reappear. In addition the will get a chance to participate in several experiments and even get to perform a few magic tricks of their own! 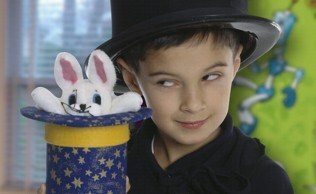 Educational Value: Have you ever wondered how magicians are able to perform stunts such as mind-reading or disappearing acts? This course unlocks the secrets and mysteries of the wonderful world of magic. Children will learn that both science and magic require very good observation skills. At the end of the course students will get to take home a Curious Cube so that they can astonish their friends and family by demonstrating their own magical act.